On July 17, 2009, the Acting Under Secretary for Health authorized the establishment of a national simulation training and education program for the Veterans Health Administration (VHA). Dubbed the “Simulation Learning, Education and Research Network,” or SimLEARN, the program is improving the quality of health care services for America’s veterans through the application of simulation-based learning strategies to clinical workforce development. The program operations and management are aligned with the VHA Employee Education System (EES) in close collaboration with VHA’s Office of Patient Care Services (PCS) and Office of Nursing Services (ONS). While the use of simulation for healthcare training and education is not new to VHA, it has become critical for VHA to develop an integrated approach to better realize the maximum benefits of simulation for VHA staff and the Veterans they serve. 1. Establish a national simulation center (the SimLEARN National Center) focused on the use of technology that will enhance workforce training and outcomes of care. 2. Establish the Resuscitation Education Initiative (REdI) as a national program for ensuring consistent, high-quality BLS/ACLS/ATLS training across the VHA system. 3. Develop and oversee a VHA strategic plan for simulation process modeling, training, education and research. 4. 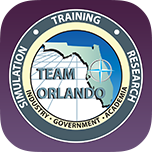 Provide operational policies, procedures, standards and guidelines on best practices for simulation activities. 5. Collaborate with the Department of Defense, academic affiliates and other non-VHA entities to advance mutual interests in simulation. 6. Collaborate with VHA’s Office of Health Information and VA’s Office of Information and Technology to define the business requirements for an IT infrastructure to support the business needs of the simulation program. 7. Assist in determining specifications and best value choices for simulation equipment and processes.